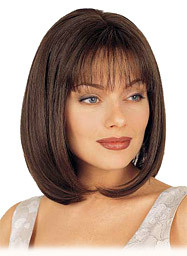 A classic shoulder-length page, beautifully cut to provide gently curving ends and a light fringe of bangs. Feathery out-flipped layers and wispy texture creates the ultimate look. 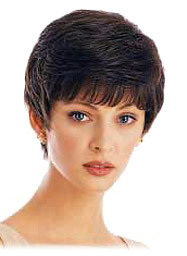 Claire is a soft modern shag with side-swept fringe. This classic style has contemporary flair. Light and natural, with just enough wave to hold its style. 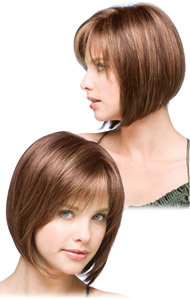 A swingy angled bob with side swept fringe creates a simply beautiful look. 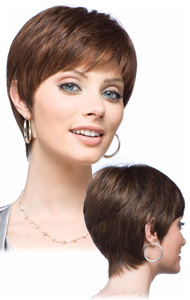 Chic and sassy, this incredibly low-maintenance mane is ultra-feminine and flirty! 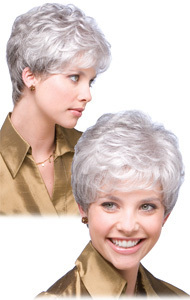 This wig can be heat styled, colored or cut to perfection just for you! 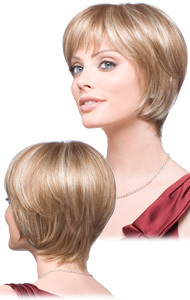 The layered cut features extra length at the crown to offer volume and a stylish outline.